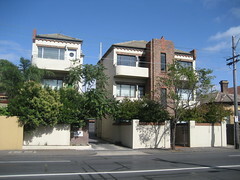 An interesting pair of flats in Punt Road, South Yarra. 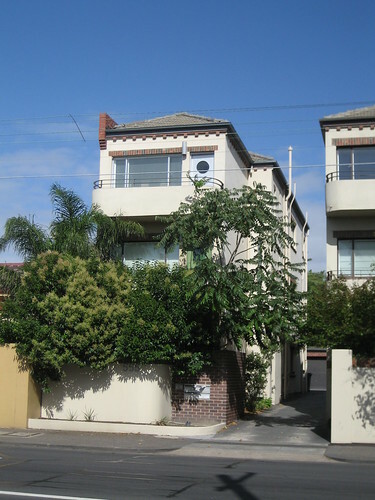 555, on the left, is a much cut-down version of 559, I presume, to allow for the driveway through to the garages are the rear of the property. The brickwork under the aeves and above the windows looks identical. The windows are similar but larger at 555. But I wonder why the doors at 555 have porthole windows and 559 doesn't. Perhaps they are newer, perhaps all of 555 is newer! 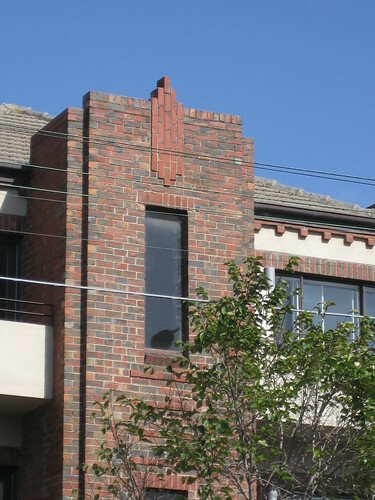 This morning I looked at a number of Art Deco apartments in Elwood and was similarly puzzled by some elements - not knowing if they were old or new. It is very hard to tell. When I tour around looking at Art Deco buildings one of the most common questions is ... are the features original? 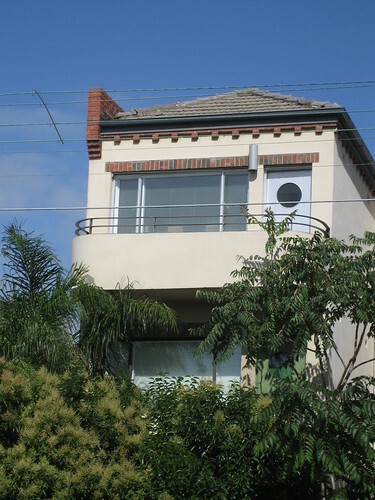 Doesn't look like typical Melbourne architecture at all, except for those verandas. They are a delight for families in summer. Do you think so Helen? 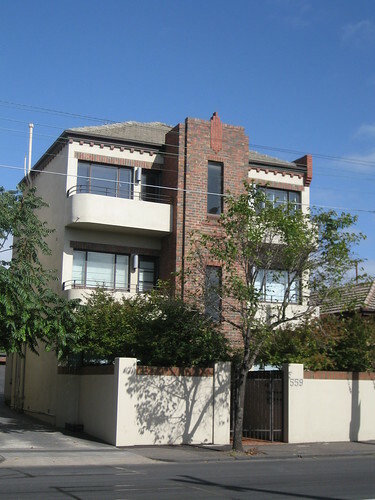 I think the red brick centre of 559 is very Melbourne (Australian) but perhaps not so much the rest of the building. which is, according to the guide, search for deco houses to be locales for Poirot series. No I hadn't Marshall. Thanks for the heads-up. I'll certainly be tuning in. For clarification, Marshall is talking about Australian digitial tv channel 7Two. I'm always distracted by the Art Deco architecture in Poirot and never work out whodunit.